Living in Manhattan is expensive. Even studio and one bedroom apartments can cost upwards of $3,000, $4,000, and even $5,000 per month, depending on where you look. But what if you could own a half square mile of the Big Apple’s most famous borough for 75 bucks? Okay, so, you won’t actually be able to own a half square mile of the real Manhattan because, most likely, you aren’t Donald Trump. 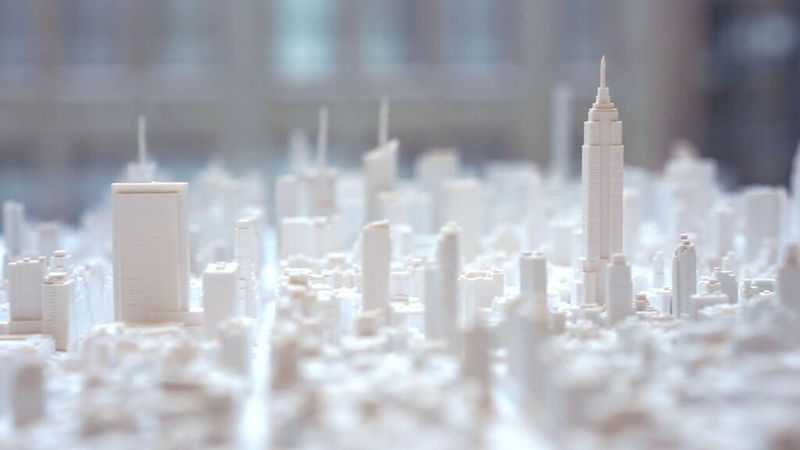 But what the Microscape project is offering might just be the next best option; highly detailed, 3D plastic models of half mile squares of Manhattan at 1:5000 the scale. Microscape is a collaborative effort between William Ngo of the architectural design firm TO+WN Design and Alan Silverman of the visualization firm AJSNY, and their project is currently raising funds on Kickstarter (and has already smashed their $8,000 goal) in an effort to allow anyone the opportunity to get a high quality architectural scale model of a piece of their favorite city, town, or neighborhood, according to Slate. Currently, only Manhattan is available. But that means all of Manhattan; there are over 200 streetscape tiles making up the island that have been produced using a process that involves detailed 3D scan data and manual computer modeling techniques. Data from aerial scans is used so that as the Manhattan skyline changes and evolves, so can the models. Buildings that are still under construction or in the planning stages can also be included thanks to the data being manually processed by designers. This means that these small, 6x6-inch models are very detailed and incredibly accurate. While planners and architects can use these models as design tools to help envision future projects, the wide appeal seems to be coming not from people in the industry, but from people who appreciate architecture and simply want a unique display piece. The tiles can also be clustered together to create larger displays and, if you have quite a bit of money burning a hole in your pocket, you can get all of Manhattan and hang it on your wall for $25,000. Currently the models are only being produced in white (made of nontoxic, cornstarch-based, biodegradable white thermoplastic), but if the demand is there, Ngo and Silverman say they are open to offering other color options. Microscape says its next step is to expand to cover the other New York City boroughs before expanding further to other major cities around the country and the world like Chicago, Los Angeles, and Paris. Which means you could create your very own city collage with the most famous architectural elements from cities around the world in one, unique display.